Everyone can play bowling, irrespective of height, weight or age. Bowling is a sports discipline for some, and leisure for others; some also consider it a way of spending time and having fun. Knocking over pins is not complicated; however, the better you are, the more fascinating the game becomes. 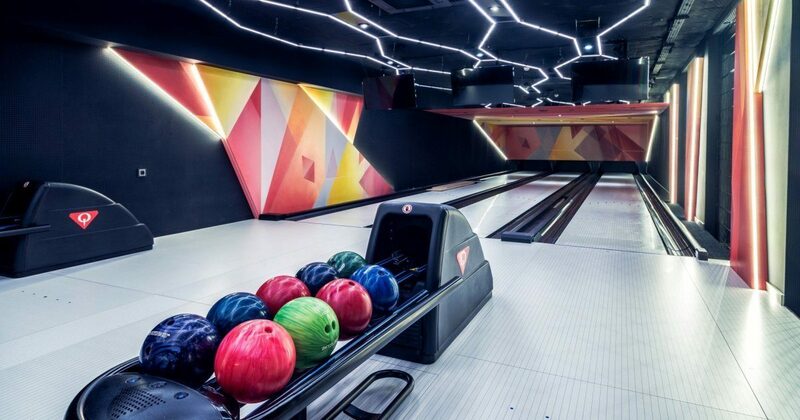 Our bowling alley is located on the -1 level and offers three bowling lanes with an electronic counting system and automatic return of bowling balls. This way, you can hold various types of tournaments and friendly games, both individually and in groups. Comfortable box seats located next to the lanes and a separate bar enable spending pleasant time together as well as holding private and closed meetings or parties. Besides great fun, we can also provide you with catering services adjusted to the individual character of a party or event. *The price includes rental of special bowling shoes. The price refers to 1 hour of renting one bowling lane.